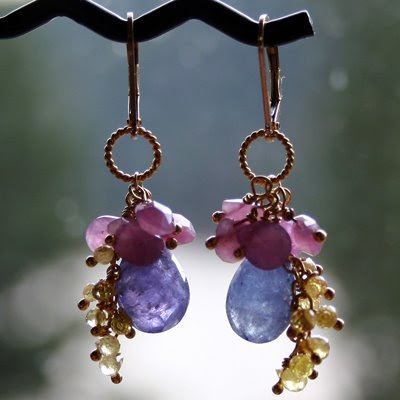 Jael's Art Jewels Blog: I want to be where you are... and I want the earrings, too. I want to be where you are... and I want the earrings, too. Patty of Broken Teepee Designs, (one of my fellow artisan beaders street team members) lives on a farm in Montana. Now, I've never been to Montana, but these earrings make me want to go and visit. Look at all the green behind the gorgeous earrings! Okay. I also want the earrings. Check them out on etsy! Those earrings are quite spectacular ... and a very good reason to go to Montana! You guys are the best...thanks so much. And thank you Jael for writing about my new earrings. Beautiful blues in these drops..really lovely!